You’ve probably been thinking about your winter campaign for months now, but just in time for Christmas, Instagram has announced the addition of a new “shop now” button that promises to bring big opportunities to e-commerce brands looking to reach new customers. Instagram has now made great design and branding central elements to any marketing strategy – and agencies and e-commerce brands alike should take note. With upwards of 300 million active users, there’s no contest that Instagram has become one of the most attractive platforms for advertisers. The Shop Now button is a game changer. At Pelling, we specialise in branding and web design, so we’re excited about the opportunities this presents for companies looking to create a beautiful online presence. Here, we break down some of the things you can do now to make sure you’re ready for the Shop Now experience. Paid ad campaigns on Instagram are a great way to get the word out about your brand, but once people start looking for you, what will they see? Put a little effort into the design elements of your Instagram profile, and the results will pay off. As AdWeek points out, “The ad design has been all about customising commercial content that blends as much as possible with the rest of people’s photo feeds without disrupting the experience too much.” Consult with a graphic designer to create a layout, posting guidelines, and colour, filter, saturation, and copy expectations for your Instagram page. Making your Instagram feel like an authentic experience without the pushiness will be key for building trust and customer loyalty when the time comes to introduce shopping. You’ve carefully curated your organisation’s Instagram page to create a cohesive experience, using similar filter, colour saturation, and layouts to showcase your brand. That’s great – your followers already love what you’re showing them! Now it’s time to make sure that experience is mirrored in your website. The Shop Now button proposes to take the user from your beautiful image out of the Instagram app, where the customer will go through your website’s checkout flow. And, even if you aren’t leading directly to the checkout, 75% of users search or visit a site after being influenced by a post on Instagram. So, your website needs to reflect the same beautiful design you’re giving them in-app. Take some time to make a quick website refresh or add new visual elements that echo your Instagram profile. Instagram is just one visual element of your entire brand strategy. At Pelling, we’re looking for new ways to build successful online marketing strategies: as this API links directly to a brand’s website, it’s a game changer for measuring marketing ROI. Currently 89% of consumers research products online before committing to a purchase. 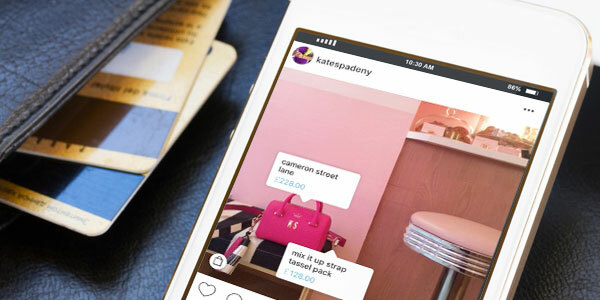 Instagram Shopping opens just another new avenue for customer research. “Instagram is even attempting to get brands to rethink what success looks like by providing campaign data, aiming to prove that impressions boost sales more than garden-variety clicks,” writes AdWeek. As this service continues to grow, what will it mean for your marketing plan? What will success look like for your company’s Instagram campaign? How much of your budget should you commit to this channel? There are many questions still to be answered, and we’re keeping a close eye on how to take advantage of Instagram Shop Now. For more news and updates from Pelling, stay in touch and check back here for more information about the online design and marketing industry.